Article by Michelle Goode ©. When most people think of ‘screenwriting’ they frequently think of ‘the movies!’ But these days, many would argue that there are even greater opportunities for writers to see their work realised on the small screen as there are on the silver screen. The rise of streaming platforms such as Netflix, Hulu, and Amazon, means ‘television’ drama is growing at a rate of knots. However, new media outlets such as these still expect the screenwriter to be proficient in what is often a highly technical form of expression. In this article Michelle Goode examines the unique requirements of formatting a TV script. Use Sluglines which are descriptions of where and when each scene takes place. Sluglines are typed all in caps, left aligned, and always take the format INT/EXT. PLACE – DAY/NIGHT. You need one every time there is a new scene, even if it’s just a different part of the same location (such as a room in a house). Include action descriptions, which are regular paragraphs that tell us what is happening in the scene. Keep them concise and active (present tense), and character names should be capitalised the first time they are introduced along with their age. When it comes to dialogue, character names are capitalised and are pretty much central on the page. The dialogue comes underneath it, further left aligned, and is lower case. So, what’s the difference between movie and TV scripts? In general, you can format a TV script the same way that you would a feature script. The main difference is that in a TV script you label the acts. For example, ACT X at the start and END OF ACT X to conclude. These labels are centred, capitalised, and underlined. There is always a page break after the end of an act, so that each act starts on a new page. TOP TIP: Identify what type of show you are creating to help make format and structure decisions. For example, a procedural like a police or medical series tends to follow a ‘story of the week’ format. A serialised show, like BREAKING BAD, develops a story across a series and can continue into multiple seasons. A miniseries is a shorter, multiple-episode drama that concludes at the end of its story arc. Features usually come in between 90 and 110 pages depending upon the genre and follow a structure of three acts, but the acts aren’t labelled. In a TV script, which can come in anywhere from 22-63 pages depending on the type of show, there are four to five acts which are labelled to indicate the timing of advert breaks which function in the story as mini-cliff-hangers! A comedy may come in at anywhere from 22-32 pages and an hour-long drama anywhere from 45-63 pages, depending on the target platform. A broadcaster with no adverts can have a lengthier page count in comparison to those which need to account for advert breaks. The exception to these length rules? If you are writing a multi-camera comedy, the dialogue is double-spaced. TOP TIP: Regardless of the target broadcasting channel, it is well worth labelling the acts in a TV script to show professionalism when it comes to structure. Does the story structure also differ between feature and TV scripts? Yes! A feature script, in its simplest terms, is comprised of a beginning (life before), middle (stuff happens) and an end (the result of everything that comes before). Plot points, or ‘turning points’, along the way can help track the structural development. The first turning point usually occurs as we move from act one into act two and is usually the point at which the character embarks on their goal. The midpoint occurs in the middle of act two and is usually the point at which the character thinks they’ve succeeded/thinks things are going well, but they’re then presented with even more issues/complications. Things must get worse before they can get better. The second turning-point happens as we move from act two into act three and is usually the crisis point, at which time there’s no going back. TV scripts are usually much more compressed and include three acts even in a half-hour script. In 30-minute comedy scripts it is also common to include a short scene at the end which wraps up that episode’s storyline. These are called ‘tags’. In hour-long screenplays the number of acts rises to around four or five acts. This is frequently supplemented with a short scene to open the script, which is particularly popular in American dramas. Often, particularly in a continuing series, a TV script will have several levels to its structure, the A story, a B story, and a C story. The A story provides the focus and the B and C stories are subplots. The protagonist has a problem/need/want/goal, but something (opposition) gets in the way. An event provides a catalyst for change, during which protagonist makes a decision under pressure and embarks on a course of action. There are more problems/turning points along the way, leading to a crisis, climax, and resolution. So, what’s the purpose of a teaser and a tag in TV screenwriting? A teaser introduces us to a character or an event, and the world of the story. For example, in BREAKING BAD we get a snippet from a later scene in the pilot episode – Walter in his underwear crashes the van. This ‘teaser’ immediately raises questions – who is he, why is he recklessly driving a van and why is he in his underwear? We then go back to meet Walter ‘earlier on’ and follow his journey until we reach the point in the script that continues from the teaser. In a nutshell, a teaser works to a) hook us, b) set up the essence of the show (i.e. Walter is always the dishevelled mess getting into and running from trouble just like in the show’s teaser) and c) reflect the premise (Breaking Bad is very much a show about doing illegal things). In contrast, the tag comes at the end of a script, often during or after the credits, and is used most often in comedy scripts to refer to or complete a joke from the episode. The tag can also be used to reflect the core concept of the series, like in FRIENDS where each episode shows the group coming together, friends once more, despite what life has thrown at them. As such, the tag provides both resolution and continuity, which are essential to an audience when it comes to the world of TV. TOP TIP: Using these essentials in your TV script will show agents, managers, and producers that you know both your craft and the industry in which you wish to work. Often, the best way to get familiar with script formatting is by reading scripts. Shore Scripts offers a selection of feature and TV pilot scripts on its website which you can download and read for free. Michelle loves to help writers improve their work via her consultancy website Writesofluid but also enjoys reading for competitions and initiatives (including Shore Scripts’!) TV scripts are one of her favourite formats to analyse and she relishes the opportunity to ‘research’ them. This requires unapologetic binge-watching of series – after all, you got to watch them to write/edit them! Michelle loves to help writers improve their work via her consultancy website Writesofluid but also enjoys reading for competitions and initiatives (including Shore Scripts’!) TV scripts are one of her favourite formats to analyse and she relishes the opportunity to ‘research’ them. This requires unapologetic binge-watching of series - after all, you got to watch them to write/edit them! 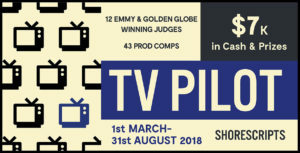 The 2018 Shore Scripts Feature, TV Pilot and Short Screenplay Contests close for submissions 31st August 2018. 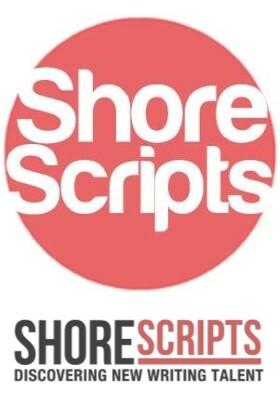 To find out all the details and submit your script go to https://www.shorescripts.com/.